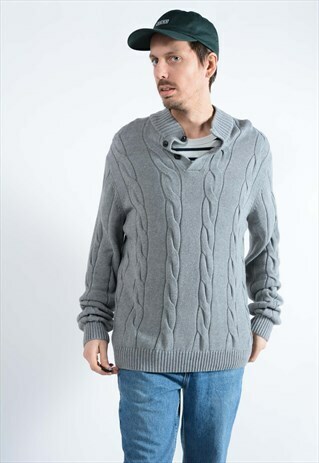 You are here: Home | Men | Jumpers & Cardigans | Vintage CHAPS Jumper in Grey. Vintage CHAPS Jumper in Grey. Size XL. Chest: 50", Length (top to bottom): 31", Sleeve (pit to cuff): 24". Our model is a size L, 6ft 2". Garments measured flat.